I have attempted many no spend days/weeks/months in the past but never actually managed to stick to them. However, this month money is quite tight so in an attempt to not go over my monthly budget I am determined to have a no spend month. I also want to be more in control of my money if that makes sense, of course I am the only one in control of spending it and I know when my bills are all due but I want to stick to a certain budget and hopefully save some money as I noticed I was impulse buying. It is so easy to mindlessly spend money on things I don't need, that hot chocolate at costa just because, a £5 scratch card for the sake of it. So a no spend challenge can really help evaluate what I need or want. Early last year I discovered the 'On Trees' smartphone app which has helped me massively see where I am wasting my money. Over the months apart from December I have managed to get my spending down even though it's still been over my monthly budget I have seen a decrease over the months. 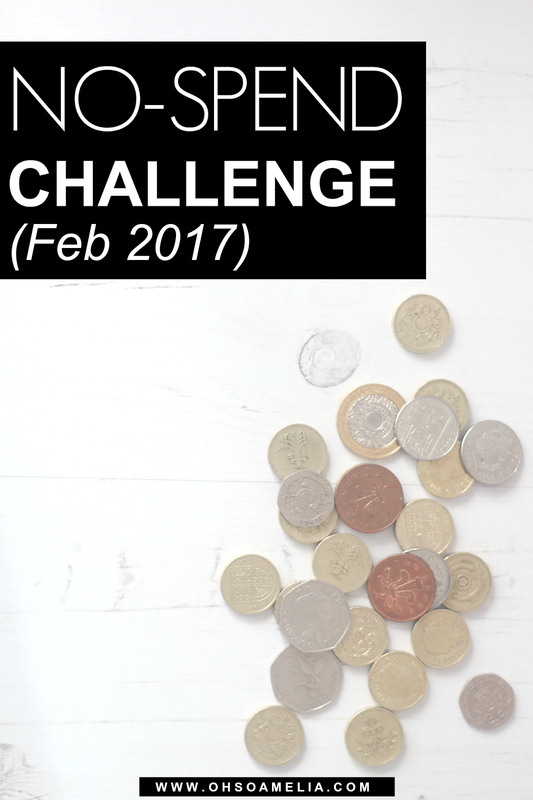 This month I am hoping to keep it under the budget and not go over which I should be able to do if I don't spend anything other than the usual bills, groceries, petrol and Amelia's school costs and after school activities. I do have a nail appointment booked which is already paid for and I'm meeting with a friend for lunch but other than that I shouldn't need to spend any money. This means no takeaways, no Macdonalds drive thrus because I can't be bothered making lunch, no popping to the shops to pick up extra food other than milk and bread, no online purchases and no buying clothes (apart from school uniform if needed). For some this may seem easily manageable and you may do it every month but when you're used to living a lifestyle to your means then suddenly reducing your budget can be rather daunting. - Finding things to do for free. As well as going to the park and for walks I will look for things to do with the kids which don't cost an arm and a leg to do! I will keep you all updated and share my results at the end of the month and whether I managed to stick to it or not. I'd love to know if you are doing a no spend month as well or have done them in the past? Do you have any tips to share? If I am doing something like this I sometimes treat myself to cinema tickets or restaurant trip that I can pay for with supermarket points. I know you could just use them as cash but you often get more for your money trying to find some deals. And you get to do stuff without actually spending money.